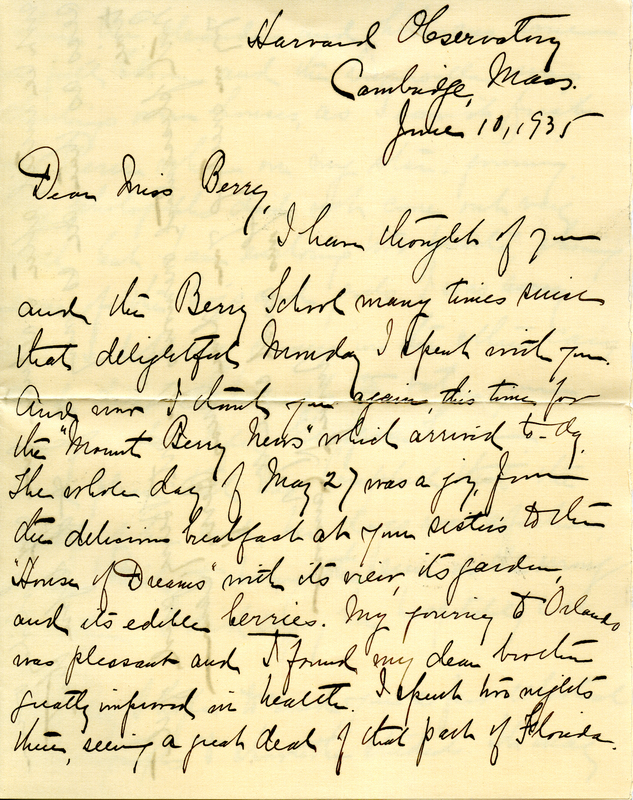 Annie Cannon writes to tell Martha Berry that she has been reminiscing on her trip to the Berry Schools and to thank her for the Mount Berry News. 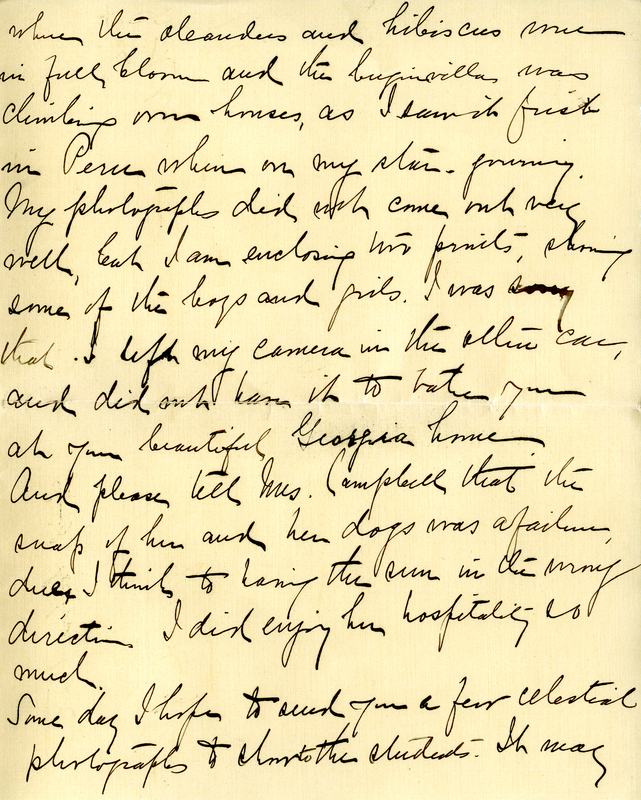 She then tells Martha Berry of her trip to Orlando to visit her brother. She describes the blooming flowers and expresses her regret that she could not take photographs because she forgot her camera. She discusses her visit to Berry and thanks Martha Berry again for her hospitality. She says that she intends to send some celestial photographs for the students after her trip over seas. 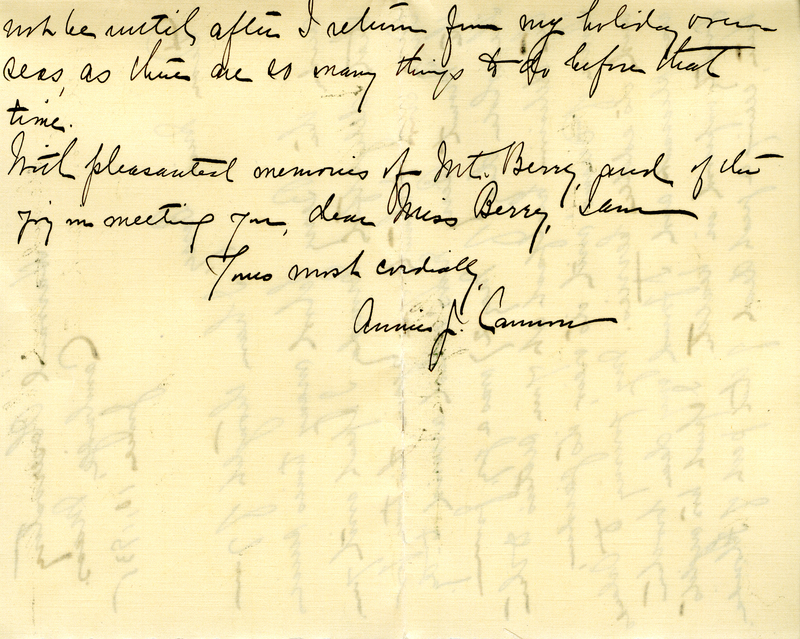 Annie J. Cannon, “Letter to Martha Berry from Annie J. Cannon.” Martha Berry Digital Archive. Eds. Schlitz, Stephanie A., Olivia Mund, Cassie LaJeunesse, Jessica Hornbuckle, et al. Mount Berry: Berry College, 2016. accessed April 24, 2019, https://mbda.berry.edu/items/show/14214.